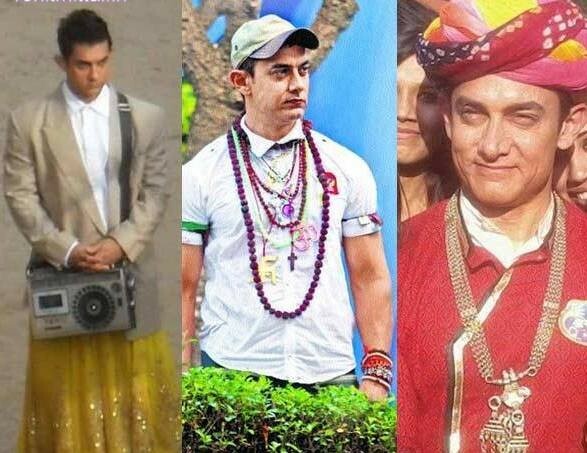 You are at:Home»Entertainment»Celeb Talk»Movies Music Masti»Aamir Khan’s First Look of “PK” – Yay or Nay?? 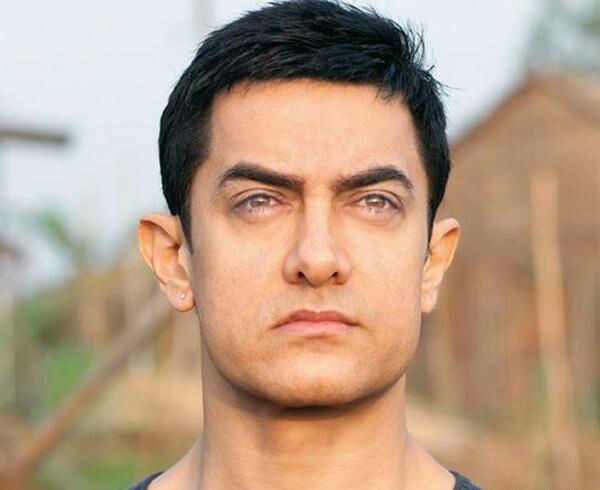 Aamir Khan’s with his new look in his upcoming film “PK” landed in controversies right after its release! Check out Aamir Khan’s First Look of “PK” before I go talking about it further! Why? Well, he stands on railway track without clothes on him, covering his parts with an old radio. Fortunately the railways track is deserted … imagine the crowd staring at Mr Khan’s backyard, bum! While some people criticize the look of Khan, some people took it as something “new/alag/hatke” by “MR.Perfectionist” again. The film is already in discussion because of Aamir khans look. Aamir Khan’s different promotion style forced people to think more about the look as he had gone on an innovative promotion drive for his “3 IDIOTS” in which he visited every city in a different look every-time. Stars are not only promoting their films but also raising questions on the Indian culture and the thinking of people. Aamir khan is a popular star he is the one named as “MR. PERFECTIONIST”, yet I can not understand why he needed to shed clothes. May be girls like it but if they do, they should like my shirtless pic on Fb and Instagram too!! Me and my dad watched the trailer and dad was almost vomiting his “chai” when he saw Amir, the senior actor who has an influential career throughout with such tremendous success of films. He is also awarded many precious awards and also nominated for Oscar for his film “Lagaan”. He is honored with National Film Awards and Film-fare Awards, and also honored by the Government of India with the Padma Shri in 2003 and the Padma Bhushan in 2010… I am yet not sure if its a cool way … but it does raise some eyeballs!! Me included. 3. Aamir, why do you always introduce new fashion…? 4. Nice pose.. it would look good even with the clothes. Do u like jokes cracked on Aamir and his disputive naked look. But does he really need to promote his films like this? Even with the great fan following, stars always get stuck in controversies… all for promotion?? Amir is no doubt looking for “badnami me naam” it can help him increase popularity and make film do business too. The competition between the film stars is but forcing them do anything for the promotions… like anything dude!! It would be interesting to watch what will be his role in the film and if Khan will be praised or criticized in the film. When the movie relieases we will see if the story did want Aamir to go naked on a rail track hiding his shame behind an old radio.. what if it broke; if so.. this time I will vomit my chai!! Though I loved the radio, its a vintage. Where did they get it from, what say guys ….!! Btw, the look is “inspired” by a foreign bands’ look from 1970s or 80s if I m not wrong…! Can we have something original, really high time! !